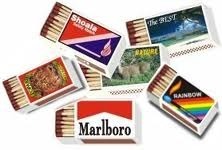 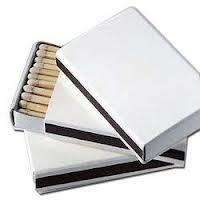 We have carved a niche as one of the most recognized exporter and supplier of Pocket Safety Matches in the range of 240 Fill Small Kitchen Safety Matches, with size of Splints: 48 mm ensuring longer period of combustion. 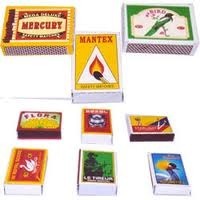 These are available in Packing of 216 Match boxes / carton. 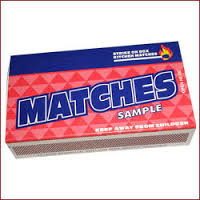 If you are looking for a reliable, quality & professional 240 Fill Big Kitchen Safety Matches wholesaler, then Thiva Exim is the your right choice. 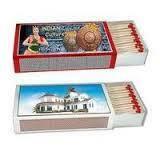 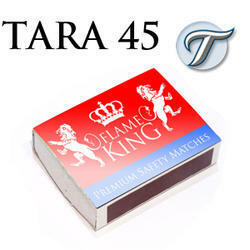 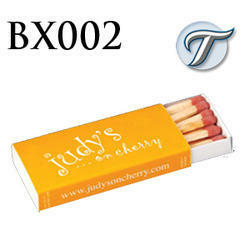 We deliver highly instrumental Big Kitchen Safety Matches that ensure complete and instant combustion.